Part of the AEG family with a hundred-thirty-year tradition as a leading German brand in the field of electrical appliances (owned today by Electrolux Group), AEG photovoltaic products stand out for their reliability, quality and enhanced usability and aesthetically pleasing. Bringing to the international markets AEG quality solar products, Solar Solutions Group is present in over 30 countries worldwide boasting a network of selected partners, each and everyone of them delivering a premium product and customer experience. High performance at their core, elegant on the outside: AEG solar products are manufactured from carefully selected and tested components to ensure the highest quality, reliable efficiency and a long product life. The sleek and chic looks of AEG solar PV modules add an aesthetic value to any installation. AEG products are developed to be one idea ahead in the world of interconnected, smart solar devices. Each end every AEG solar product is designed with the user in mind and to grant you a seamless product experience. AEG products are designed to make solar an essential part of your journey towards a greener and more sustainable future. For this reason, AEG solar products and Solutions commitment have been acknowledged by Electrolux with their 2018 Driving Sustainability Award. 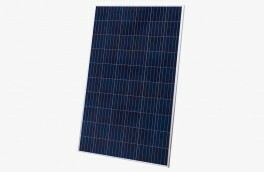 High efficiency polycrystalline & monocrystalline solar modules. "A wide range of PV products to satisfy the need for flexibility and reliability in today‘s solar plant planning"
The AEG product portfolio encompasses a wide range of photovoltaic products satisfying the need for flexibility and reliability in today‘s solar plant planning whatever the size of installation. Today, AEG solar products firmly echo the traditional concept of “perfect in form and function” that has distinguished AEG products for over 130 years, with quality, reliability and efficiency guaranteed. Solar Solutions carefully selects suppliers according to rigorous audit processes carried out by both independent Quality Assurance bodies and Electrolux, to offer customers worldwide the reassurance of certified quality and due diligence they can rely on. AEG solar products are compliant with the latest standards to guarantee safety and reliability and are certified among others by TÜV Rheinland, TÜV Süd, TÜV Nord, and KIWA, The production facilities are certified according to ISO 9001, ISO 14001 and OHSAS 18001. Whether by helping schools in India -like Sacred Heart in Kerala- gain more energy independence, or by recapitalizing assets by transforming delapidated rural buildings into smart barns, AEG products are contributing day by day to a greener economy and a more sustainable future. Fom Europe to Middle East, and from Africa to Latin America, our AEG partners are putting all their professionality and passion at the service of our customers, providing them - providing you - with the same AEG customer experience that has proven so popular globally.